I was a poet, and didn't know it! 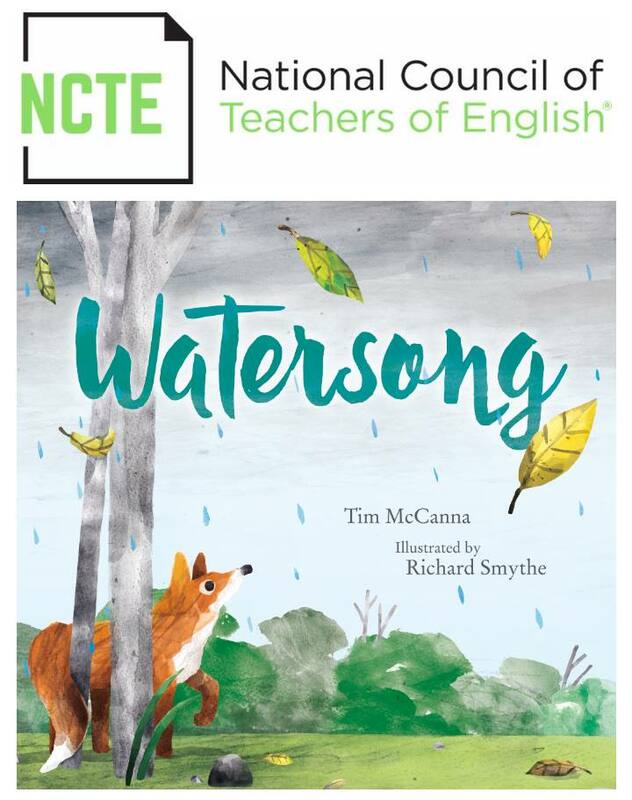 What a nice surprise to learn that NCTE, the National Council of Teachers of English, named WATERSONG a 2018 Notable Poetry Book. This is a lovely endorsement coming from such a wonderful organization. WATERSONG's journey has been like a winding river. It started as a trickle (which was my original title: Trickle) when the idea came to me during the 2013 Storystorm picture book idea challenge. Then I wrote out the 56 rhyming words during the 12x12 writing challenge. After the manuscript sold to Simon & Schuster/Paula Wiseman Books, Richard Smythe threaded in his beautiful illustrations of a fox weathering the storm. The non-fiction back matter, which adds an even deeper level, was included shortly before the book went to print. Little did I know I'd be doing research on ecosystems, rainbows, and watersheds, but it was really rewarding work. 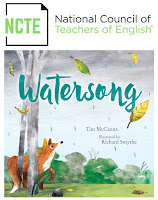 Since then, I've had so much fun reading WATERSONG with kids around the Bay Area. And I'm especially proud to hear when teachers say they've used my book as part of their curriculum in the classroom.